UBrothers Construction is a locally owned and family-operated business.We are a fully licensed and insured home improvement contractor proudly serving Worcester Massachusetts & Surrounding Areas. Home Improvement Services provided by UBC are exactly up to your requirement which is only possible with the help of our experties, dedication to work and hands on knowledge. We try to meet your Home Renovation and Home Restoration needs. No matter what services you are looking for, we are at an arm’s length to cater your needs at very affordable rates. In order to make your dreams come true and making your home look exactly as you wish for.UBrothers Construction provides you with a Cost-free Estimate together with Cost-free Inspection. After reading the testimonials on our website, you can always keep faith in us for catering to your needs. work was extremely well done. Project was rescheduled two times, but they always gave me one week notice. We had a pleasant expirience with UBrothers. They were knowledgeable about product and installation details of james hardie siding. They fullfill all of our expectations and answered all questions we had. All work was completed with a high level of quality and attention to details. Many thanks to Oles. New windows are looking great. The price was very reasonable, work began on time and moved forward every day. At the end of every work day, my property was cleaned and Andrii met with me to go over what had been done. I have worked with several contractors over the past 10 years, and although this was the biggest project I ever had done, it was also the smoothest. The crew that arrived at my home were both professional and skilled, I have no issue in recommending them to anyone requiring siding installation. Working outside in New England during January does have some scheduling challenges, however the crew kept me informed when the weather would not cooperate and tried to make the best use of time when it did. Some missing parts were identified and the material was delivered onsite before it became a scheduling issue for installation. The speed at which they were able to complete the job given the weather conditions left me in awe. I will keep them in mind for any additional projects in the future. Easy and quick estimate. No surprises. Job scheduling was a bit tricky. the closest available time was couple month away. But I took it as a good sign if they stay busy throughout the year. But job started in time and was finished quicker than I expected. They kept everything covered and swept around the house in the end of every work day. Which we were very pleased with. Hause came up great. Overall very happy. Highly recommend. Guys did a great job. Best wishes. Oles and Andrii were highly professional. A phone call was received in the morning, followed by another fifteen minutes before arrival. All windows in the house were checked and repairs were made to four windows in an efficient and timely manner. Andrii reviewed all repairs with me to ensure that I was satisfied. We could not have anticipated such an easy experience. Thank you! Still impressed how fast they are. First few days i was worry about the quality of workmanship but everything came up perfect. Would hire them again for windows replacement. I thought they did a great job! I thought the whole team did a great job. I thought they did a fabulous job. As mentioned above, we're still waiting to see if the problems are fixed. But they did address the issues and tried to resolve them. How quickly the windows were installed. I'm still amazed at how fast they got it done! I’ve already recommended Ubothers to several people. Fantastic job and effort. Genuinely good guys. Great value. We had planned on the work being done about 2 weeks out, but they didn't have the door in stock, so I had to wait an additional 2 weeks. Great guys through and through! EXCELLENT workmanship and skills! We couldn't have asked for better. Our house looks AMAZING!!! Great crew! They work efficiently and perform exceptional work. Communication throughout the process was superb. I was always informed about the progress of the job and any unforeseen issues. I was so thrilled about the work they performed on my house I hired them to work on my rental property. In addition I have referred them to family, friends, and neighbors. I would definitely recommend this company. Easy to work with through the whole repair process. Quick communication and follow-up. I was most satisfied with how beautiful it was when it was completed! Very pleased with UBrothers Construction. I was most satisfied with the quality of the craftsmanship. Always punctual - Good work ethic - Knowledgeable - Professional - Responded to any concerns I had - Positive experience - I would hire again and again. Ubrothers met my expectations. They did not disappoint. The quality of work was outstanding. They take great pride and care in their craft . They are polite and respectful. 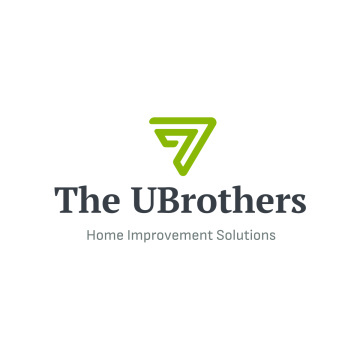 I am very pleased to have had a positive experience with UBrothers Construction. None. We are happy with every aspect of the job. The quality, timeliness and price because it’s hard to find someone that is skillful, shows up and is affordable. UBrothers were all of that. Awesome job from start to finish.